Harsh? Maybe so but that is how I saw that fight. You see, I was supposed to write what happens to the Philippine scene whenever Manny Pacquiao fights – the streets become empty, no vehicles moving about, people gathering to the nearest house with cable TV and is open to people; the Philippines just comes together to watch Manny Pacquiao fight in an attempt to bring home another victory – a proof would be the zero crime rate that is reported at the end of the fight day. But that all changed when the sixth round came. And this is the first Pacquiao fight, in a long time, that I cared to watch on cable TV. We don’t have cable TV at our house so we just go to my cousin’s place to watch it. Usually, I just stick with the free TV broadcast. Boy, was I disappointed! Though, I am not a very big fan of boxing. Neither am I a big fan of Manny Pacquiao but I care enough to watch. The Event started at around 12:30pm here in the Philippines. During the first round, Manny already started attacking but Clottey wasn’t – he was on his solid defense mode. The scene was about the same during the second round. That didn’t come as a surprise to me. Maybe, he was tryna assess Pacquiao’s strength and was tryna figure out how to fight him. Manny will not attack me. I will attack him. I cared to watch this fight as much because I thought that it was interesting enough because Clottey was deemed as a strong fighter but he can also be a dirty fighter. One of the people on Manny’s side was warning him about Clottey’s tactic of stepping on his opponent’s foot. But that still wasn’t avoided. I thought that would bring the fight to life. So, when the seventh round started, Clottey threw a few punches. He started fighting more but, once again, we were all disappointed when he switch back to total defense mode. Two more rounds came and ended with the scene on the ring being just about the same. You know you have the power to knock him out. You have the strength. Take chances, man. But Clottey did not man up to it. I’m thinking his coach was also tired of watching him stay on the ring in total defense. When the 11th round ended, there was some sort of commotion. We all thought the fight was already being ended but it went on. Before the 12th round started, Clottey’s coach was telling him to breathe. Maybe, he was already about to break down. But just before the fight ended, there was a headbutt. Was that really inevitable? So, yeah, just as I thought, The Event ended, around 2pm, in a victory by unanimous decision in favor of Manny Pacquiao. No, I should put it as, the fight ended with Manny Pacquiao trying to give a great show and Joshua Clottey trying to survive Manny Pacquiao. We’ll try to give a great show. And we all left disappointed. Today, when I was getting some water, one guy from our neighborhood told me that he can’t stand to watch the fight that he’s turned off his TV by the eight round. That is what your mail will tell you when you receive your invitation code to test Jolicloud. Jolicloud is a new operating system optimized for netbooks tagged as “a cool new OS for netbooks.” It is still on alpha, called “robby release”, so download is avaible after getting the code. But don’t let the “alpha” make you not want it. For an alpha build, Jolicloud knows how to deliver. The idea of Jolicloud revolves around building a laptop that woud run an Internet operating system that utilizes web alternatives of existing costly software. Jolicloud has a long list of supported hardware and the list grows as more and more netbooks are tested by the community. What makes Jolicloud different from most open source OS is that besides its being optimized for netbooks, it is made for the “always online” generation – the ones who don’t seem to shut down as they can always be found online. Jolicloud gives you a gorgeous interface and a set of social features for a more fun experience. 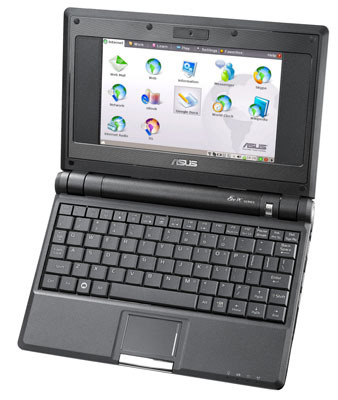 When you boot your Jolicloud netbook, you might say that it is the Netbook remix but it just looks like one. In fact, it is way different. The “Get Started” icon is the most interesting part of the whole system. This takes you to your Jolicloud homebase. The homebase is divided into four sections: the Dashboard, Applications, Settings, and Lab. The dashboard is your Jolicloud social networking platform. This is where you can find updates from Jolicloud, both for the apps and the system, and from people you follow. Updating only takes one click on the update button. Now the Applications tab is the most valuable tab in your homebase. This is the part that makes Jolicloud easy to use. The applications directory gives you a list of all the apps you might need for your netbook – and more. It gives you the “one-click install” feature that Jolicloud is proud to give you. You just have to click on the “Install” button, authenticate, and the system will start downloading and installing the app for you. If you get tired of the app, the “Remove” button will be there for you. The app directory is also constanly being updating so you are to expect more things. The Settings tab is also indispensable. It shows you your profile and and other information about your system. If you have another netbook and you want to install Jolicloud on it, too, the system will be there for you to sync both netbooks. Your different subscriptions can also be found here. The Lab tab is mostly grayed-out. That is just some of the awesome things that Jolicloud can give you. Right now, it is the OS that can give you all you need and a lot more.